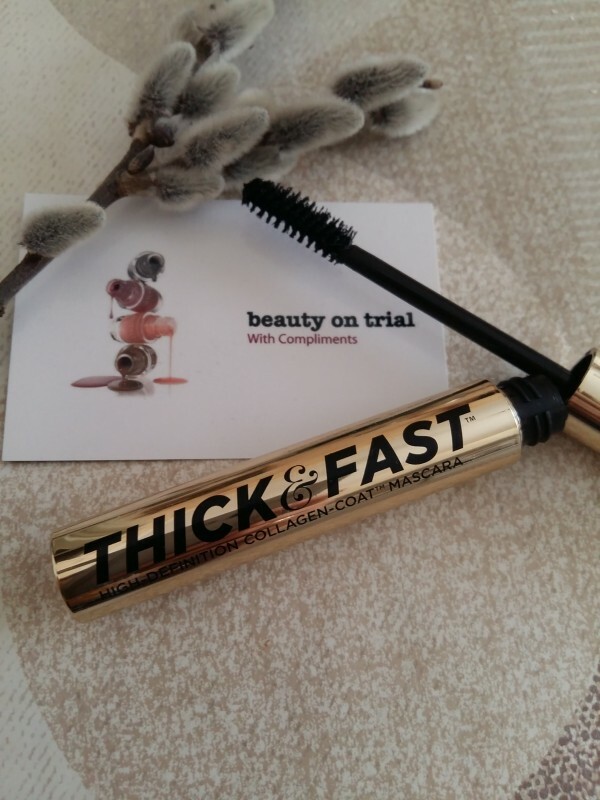 With the Soap & Glory Thick & Fast HD Mascara, the BRUSH is the stuff. 7-SIDED FAN FLARE-180™ brush with a V-groove to lay down volume & intensity, and a network of combing & curling surfaces to give length, definition and DRAMA. 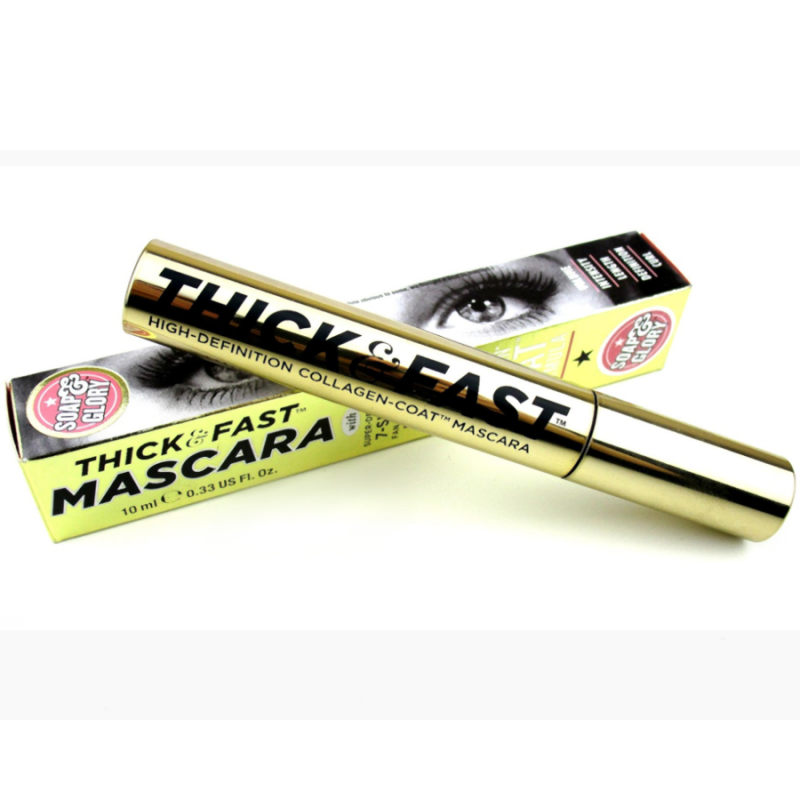 Soap & Glory Thick & Fast HD Mascara is a great beauty tool that can be used both on a daily basis and as a party tool. It has a slightly curved applicator with (as it has seemed to me) different height of brush bristles that allows using one side for short eyelashes of the lower eyelid, while the other - for long ones located on the upper lid. 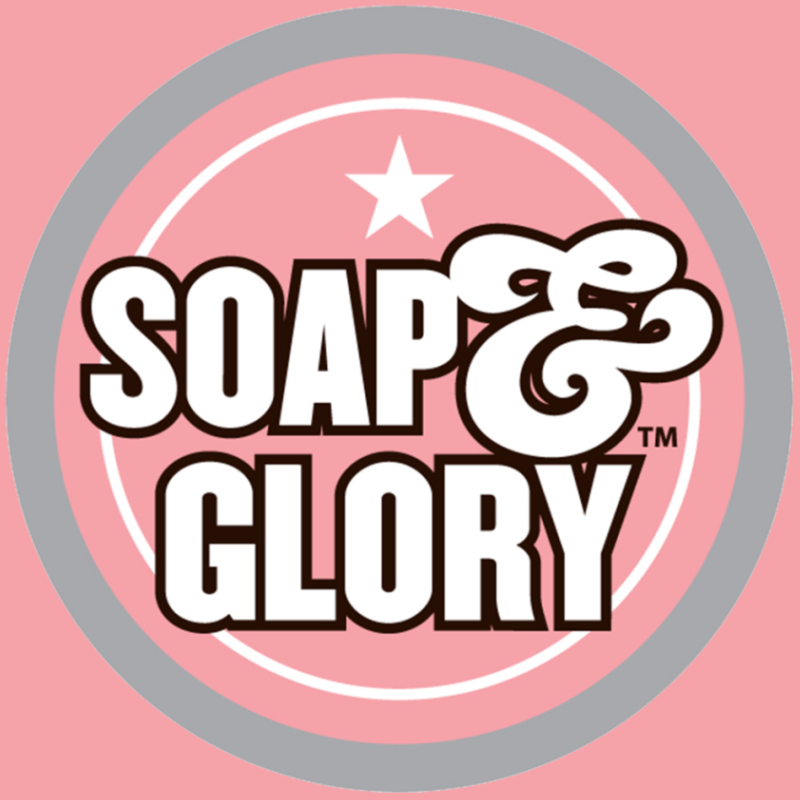 The scent is a bit off-putting if you try to smell the substance, but otherwise, it doesn't linger after the application. 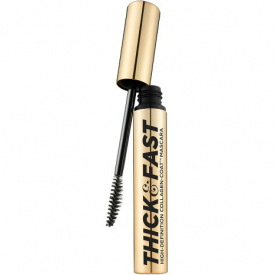 The mascara indeed covers every lash as if with dye, it is not clumpy and at the end the lashes look elongated and charcoal black from top to bottom as well as well-defined. 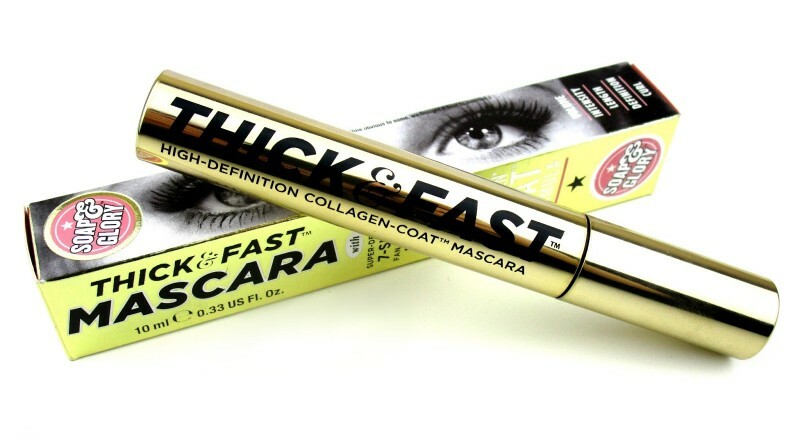 The effect is long lasting without any flaking and the overall look of the eyes is totally dramatic.